Offerings from any of these four boat builders will fill your need for speed—all it takes is the gumption and the wallet. 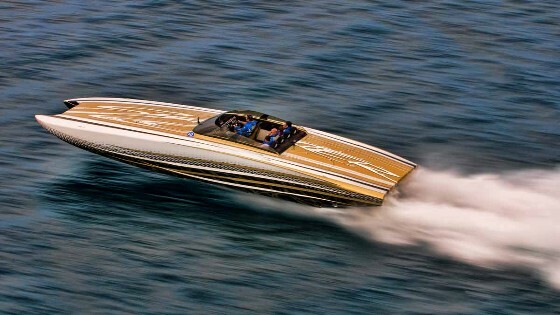 If you want an extremely fast speed boat, here’s a fact that will either thrill or terrify you, depending on your perspective: If you have the money—as in a little more than $1 million—you can buy one that breaks 200-mph. They do exist. If you have a little less money, say in the $750,000 range, you can buy a 160- to 180-mph pleasure boat, not quite a member of the 200-mph club but still plenty fast in anyone’s book. And there are all kinds not-exactly-slow, 150-mph boats available in the $300,000 to $750,000 range. 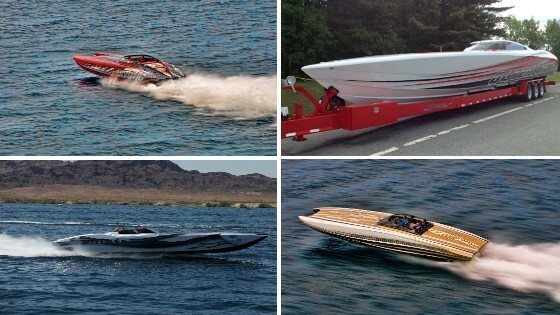 These four speed boats, from Mystic, MTI, Skater, and Outerlimits are among the fastest money can buy. Money, as they say, is power, but in this case power also is money - because while hull design and overall construction are undeniably important in the world’s fastest pleasure boats, none of them go fast without big power. And big power costs big money. For example, a quad-overhead-cam, turbocharged Mercury Racing 1350 engine—that means 1,350 hp and 1,350 foot-pounds of torque—with its standard M8 drive, retails for more than $200,000. All of the world’s fastest pleasure boats have twin engines, so in a power alone you’re looking at $400,000. In case you’re having trouble doing the math, that’s more than half the price of a $750,000 pleasure boat. And, how do you make a $750,000 pleasure boat into a $1- to $1.5-million pleasure boat? Simple. Swap out those twin piston engines for a pair of T-53 turbine engines rated at 3,000 hp each. 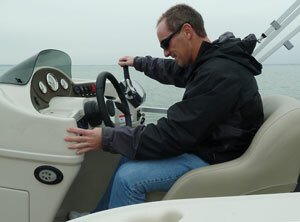 As it happens, that’s also quickest way to ensure your boat gets in the 200-mph club. 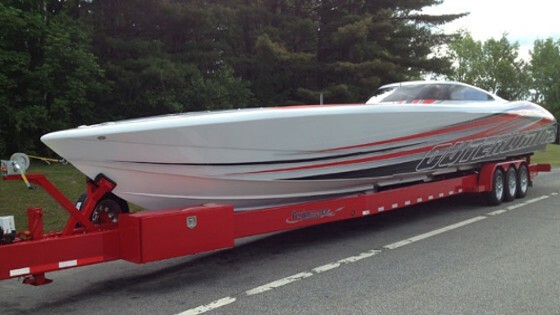 This is the first 50-foot Mystic cat to be powered with Mercury Racing 1350 engines. Photo by Jay Nichols. The vast majority of Mystics have been built with turbine engines from 1,800 to 3,000 HP a piece. In fact, the company just built its first Mercury Racing 1350 engine-powered pleasure cat this summer. Also, because they are 200-mph boats almost all Mystics have been built with fully enclosed cockpits, also called full canopies. Some Mystics have full-time onboard and/or supplemental oxygen systems for the occupants. It could be argued that, to a degree, they are “race boats” used for pleasure duty. John Cosker, the founder and owner of Mystic, says that a lot of his customers come from other fast-vehicle worlds, most notably exotic automobile and aircraft. Aircraft experience, which focuses on methodical operation procedures and system redundancy, is particularly useful for owners and operators of turbine-powered boats—as is a serious bank account in the neighborhood of $1 to $1.5 million. “There are a lot of people who want a 50-foot Mystic, but when it comes right down to it there really aren’t a lot of people out there who can write that kind of check,” says Cosker. 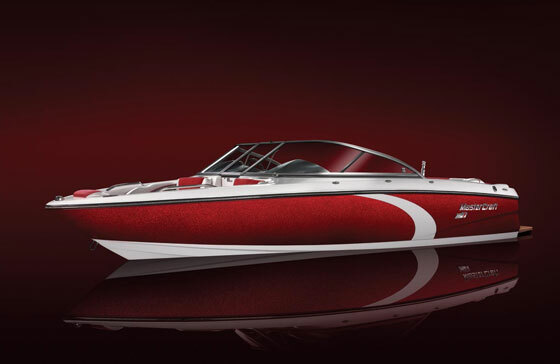 The hottest model in the MTI line is the 48, and this one called Phantom is powered by a pair of Mercury Racing 1350 powerplants. Photo by Robert Brown. 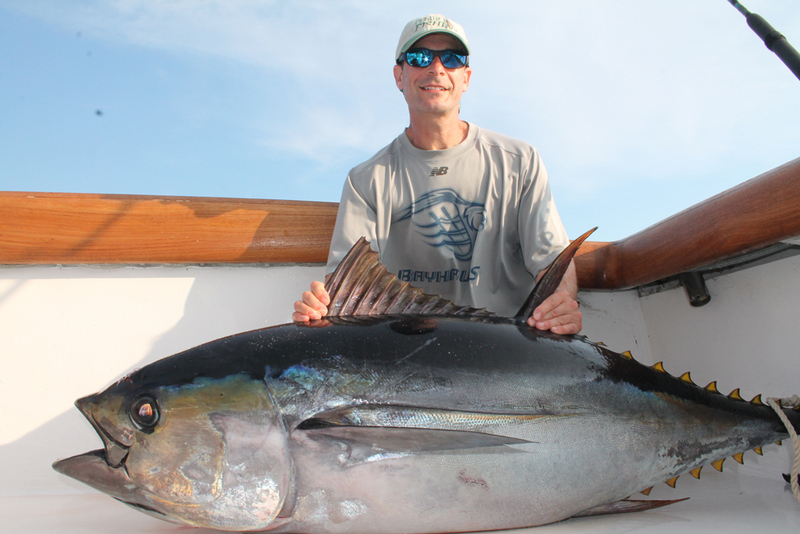 Randy Scism, the founder of MTI (Marine Technology, Inc.) in Wentzville, Mo., knows his way around fast catamarans. The world championship-winning throttleman became the manager for the Dubai-based Victory team in the 1980s, and that team has become the dominant force in UIM Class 1 competition. When Scism started MTI in the early 1990s, he brought that experience with him and translated it to a line of seriously fast vinylester resin and fiberglass pleasure catamarans from 36 to 50 feet long. How fast is seriously fast? With offshore throttling legend John Tomlinson, the owner of TNT Custom Marine in Miami behind the wheel, the 44-foot Mercedes MTI cat reached 192 mph. But most MTI customers, who generally spend between $500,000 and $800,000 for a new boat, aren’t looking for anything quite that speedy. 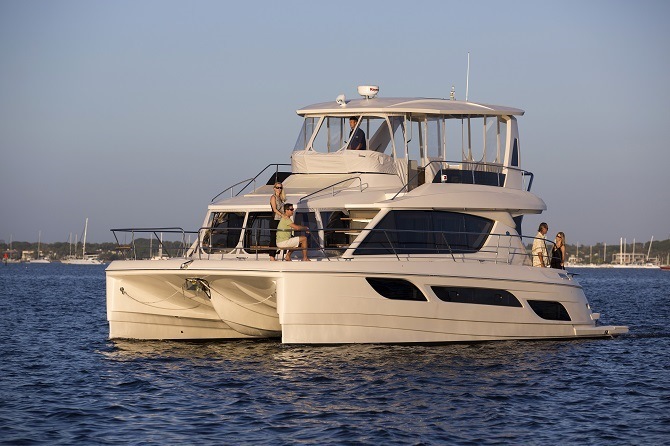 The most recent release, and current customer favorite in the MTI, is its 48-foot cat. With the twin Mercury Racing 1350 engines, the most sophisticated engine in the high-performance powerboat world, the boat is capable of topping 180 mph. But gearing and propeller selection can help limit the top end to 150 to 160 mph. 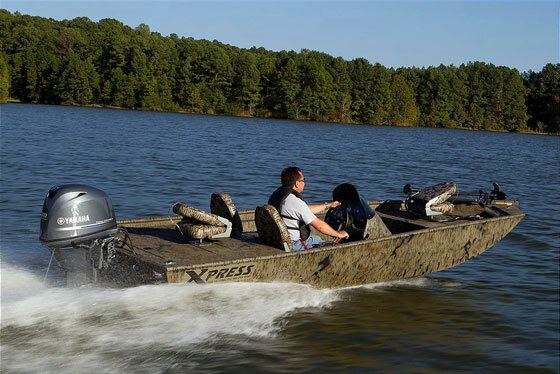 “Boats that run more than 150 mph get real hard to insure,” says Scism. 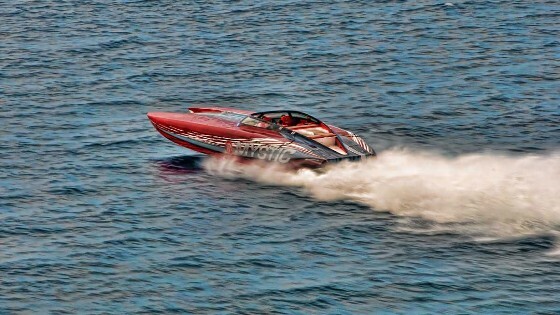 A 40-foot Skater powered by Mercury Racing 1100 engines runs hot on Lake Michigan. 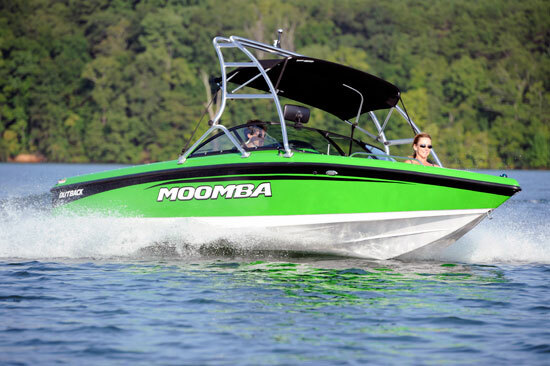 For more than three decades, Skater Power Boats were—and to some extent still are—the gold standard in go-fast pleasure and racing catamarans. Long before there was MTI and Mystic, there was Skater built by Peter Hledin, the founder of Douglas Marine in Douglas, Mich. What started with a simple 24-foot catamaran became a line of uber-fast cats from 24 to 50 feet long. To a degree, Skater is to catamarans what Cigarette Racing Team is to V-bottoms—an iconic brand. The fastest offering in Skater’s pleasure line? Hard to say, because the company has built so many fast offerings over the year, but without question there are at least two well-known Skater 388 models out there capable of speeds in the high-180-mph, low-190-mph range—and both are powered by 1,500-hp supercharged engines. Called Pure Platinum, one of the cats is owned by Bill Pyburn out of Jacksonville, Fla. The other 388, which is unnamed, is owned by Chip Romer of Lake Havasu City, Ariz. While Skater started building its cats using vinylester resin and fiberglass, it switched to epoxy and carbon fiber lay-ups for its boats more than 20 years ago. They range from $250,000 to more than $1 million. The company has added new models along the way, but to some extent every Skater is a new model. One reason for that is Skater has no deck tooling for any of its models. Each deck is made from plywood vacuum-bagged with composite materials to the owner’s individual tastes and preferences. Here’s another thing that hasn’t changed: Hledin remains a hands-on boat builder. Every day, he throws on a pair of coveralls and goes to work with his crew in the plant. The first Outerlimits V-bottom to be powered by Mercury Racing 1350 engines is the sit-down, half-canopy SV52. With Fountain Powerboats in dormancy and not likely to come out of it anytime soon, the undisputed fastest V-bottom pleasure boat builder is Outerlimits. 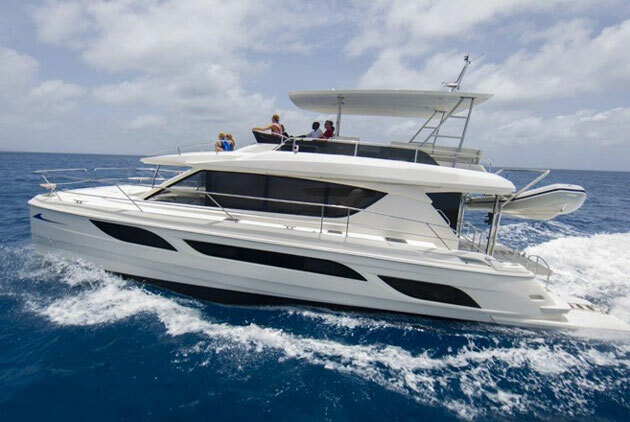 The Bristol, R.I., builder does offer a 48-catamaran, but really the company’s bread and butter is its stepped hull, epoxy and carbon fiber V-bottom line from 37 to 52 feet long. The fastest Outerlimits ever built reportedly hit 174 mph, but that was a full-canopied 43-foot offshore race boat with twin 1,500-hp engines. During a top-speed event at a National Power Boat Association poker run in New York several years ago, the 43-footer reached 161 mph. More than a few Outerlimits run in the 130- to 150-mph range, and that’s moving—really moving—in a V-bottom. What’s more the boats have remarkable stability for monohull designs at such speeds, which is a credit to Mike Fiore, the owner and founder of the company. Perhaps more impressive is that the latest Outerlimits SV52, a sit-down model with a half-canopy, can cruise comfortably with a full load of passengers and fuel on board at 120 mph. For those who haven’t been there, and even those who have, 120 mph is still plenty fast.